TV5 and MZET Productions present another fresh comedy show featuring Vic Sotto and his hilarious comic sidekicks Jose Manalo and Wally Bayola. It’s a reality-comedy program that tells the lives of people working for TV or film entitled The Jose & Wally Show Starring Vic Sotto. The comedy is also about the lives of two comedians (Jose & Wally) from rival TV networks who have experienced hardships and in the hopes to revive their dying career seek assistance from Direk Vic. Direk makes a way to convince the executives of an up-and-coming TV network to come up with a show to be hosted by Jose and Wally themselves. The two frenemies (friend-enemies) have no choice but to put up with each other’s differences to keep them from losing their career. They would always outshine each other on the set proving to others who among the two is the best. This new comedy program has a unique twist because the characters in the story somehow represent common lives of people working in the showbiz industry. One may identify some of the characters without intending to specifically play a showbiz personality in real life. 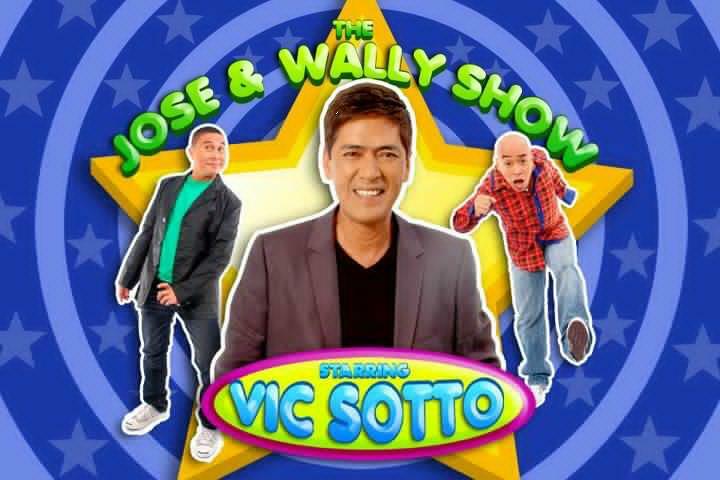 Directed by Bert de Leon, The Jose & Wally Show Starring Vic Sotto offers a new concept of a sitcom and a reality program. Part of the cast also includes Miriam Quimbao, Nina Jose, Erika Padilla, Buboy Garovillo, Jimmy Santos. The show premieres on November 5, 2011 (Saturday) after Wil Time Bigtime.